Earlier this summer, director J.J. Abrams and Lucasfilm revealed how General Leia will return for Star Wars: Episode IX despite Carrie Fisher’s untimely passing in 2016. Unused footage of Fisher from The Force Awakens will be used to fill out Leia’s role in the film. 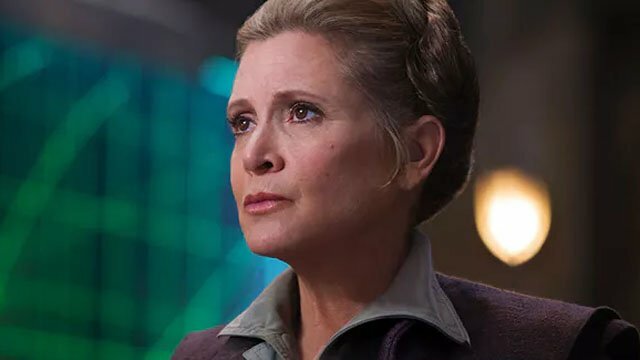 According to Fisher’s brother, Todd Fisher, it was important to him and the rest of the Fisher family that Leia have a part in the final installment of the Skywalker saga. According to Fisher, it was an extremely difficult task for Abrams and the other producers to comb through the unused footage of Fisher and find a way to reintegrate it into Episode IX‘s story. However, Fisher appears to be happy with the results. A report filed earlier this month suggested that Fisher’s footage from The Last Jedi may also be incorporated into Episode IX. But we probably won’t know the extent of Fisher’s role in Episode IX until it hits theaters on December 20, 2019. The post Carrie Fisher’s Brother Speaks About General Leia’s Return in Star Wars: Episode IX appeared first on ComingSoon.net.